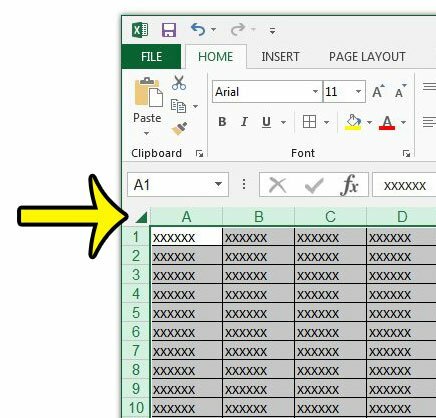 You may already know how to print lines in Excel 2013, which is one of the easiest ways to ensure that people reading your printed spreadsheets are able to properly distinguish individual cells. But occasionally you will create a spreadsheet that looks better when it is printed without gridlines or cell borders. 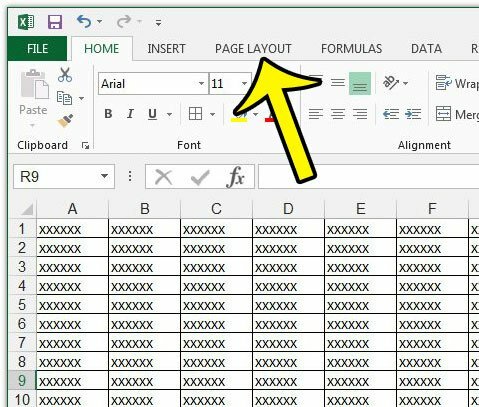 Your Excel worksheet actually has two different settings that control whether or not cell lines are printed with the document, so you might be confused if you have already turned off the gridline setting, but are still seeing printed lines. When this occurs, it is because the worksheet also has cell borders. So if you want to print your document without lines of any kind, then you can follow the steps below. 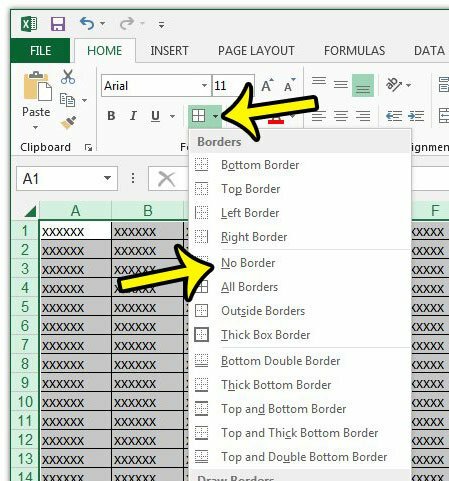 The steps below are going to stop gridlines from printing, and remove all of the borders from the cells in the worksheet. As mentioned before, these are two separate settings for your worksheet, so you will need to make sure that they are both turned off if you do not want the cell lines to print along with your data. 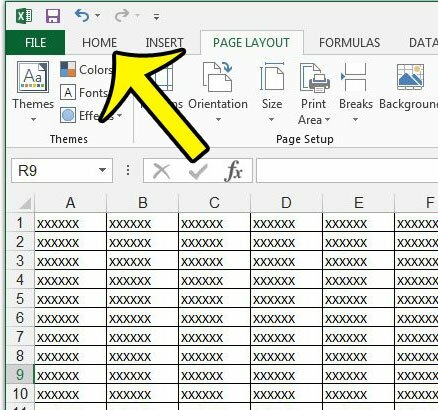 Open the file in Excel 2013. Click the box to the left of Print under Gridlines in the Sheet Options section of the ribbon. There should not be a check mark in that box if you want to print without any cell borders or gridlines. For example, gridlines will not print on this worksheet with the setting below. Click the button above the row 1 heading, and to the left of the column A heading to select the entire worksheet. Click the arrow to the right of the Borders button, then click the No Border option. 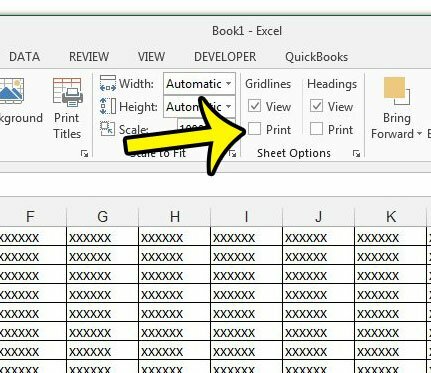 When you open the Print menu to see how your worksheet will look, there should no longer be any visible cell borders that print with your data. One other helpful printing option is the ability to set a print area in Excel 2013. This will allow you to choose only a certain part of your worksheet that you want to print.